While much of the real estate on Linus Pauling’s chalkboard is consumed by lists of names, a number of additional annotations, when examined, prove to be of keen interest. NSF – Mol. Str. 21 Mar. This particular sample of notes relates to the metabolic profiling program carried out for some time at the Linus Pauling Institute of Science and Medicine. As mentioned in part II of this series, a large number of names on the board were involved with the metabolic profiling program, and this particular column of text ties many of the names together. Pauling was working with numerous people from diverse backgrounds and professions. He was in contact with researchers at, among other organizations, the Institute on Aging and the American Cancer Society. The following words, located in the upper right portion of the column ark, have perhaps the most basic and relevant connections to Pauling’s work. The order simply implies that ascorbate, or vitamin C, stimulates the production of lymphocytes, the major cellular components of the body’s immune system. Several studies have shown that increased levels of ascorbate generally correlate with increased levels of lymphocyte production. If nothing else, this is the most centrally relevant theme of Pauling’s work with vitamin C, and the fact that it maintained such a substantial place on his overcrowded board underlines the significance that he himself placed upon it. 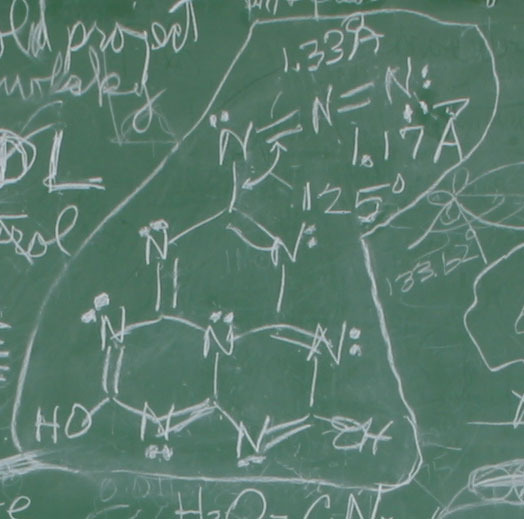 In the middle of the board towards its top, is the diagram of a mystery molecule that was crafted by Pauling. Mention of the molecule (given the name “2-azido-5,8-dihydroxy-1,3,4,5,7,9,9b-heptaazaphenalene”) appeared in an article titled “A Prized Collection: Pauling Memorabilia,” published in Chemical and Engineering News in August 2000. I had an idea in the field of organic chemistry about 40 years ago. It involved this unusual compound. Benzine has a six-membered ring of carbon atoms and this compound has three six-membered rings consisting of six carbon atoms and seven nitrogen atoms and then it has these hydroxyl groups attached. It is known that the similar substance with only one ring can be made into certain derivatives that have anti-cancer activity. And I thought that this substance with only three rings might well operate in the same way and that we should study it. In other words, Pauling was still actively contemplating an idea that had occurred to him 40 years prior – an idea that managed to stay on his chalkboard through his death in 1994. Indeed the mystery molecule exemplifies the function of Pauling’s chalkboard, not only as a mnemonic device, but as a place holder for people and ideas that span decades. Left of the mystery molecule towards the top of the board, one finds a series of words written one above the other. The seemingly haphazard placement of the words diverts attention from their historical significance in terms of the latter portion of Linus Pauling’s life. The words almost certainly refer to research that Pauling began supporting in conjunction with a German physician named Matthias Rath, which investigated the possibility of a link between vitamin C and heart disease. Over the final years of his life, Pauling spoke of the relationship between vitamin C and heart disease in much the same way that he talked about vitamin C in terms of colds and cancer. 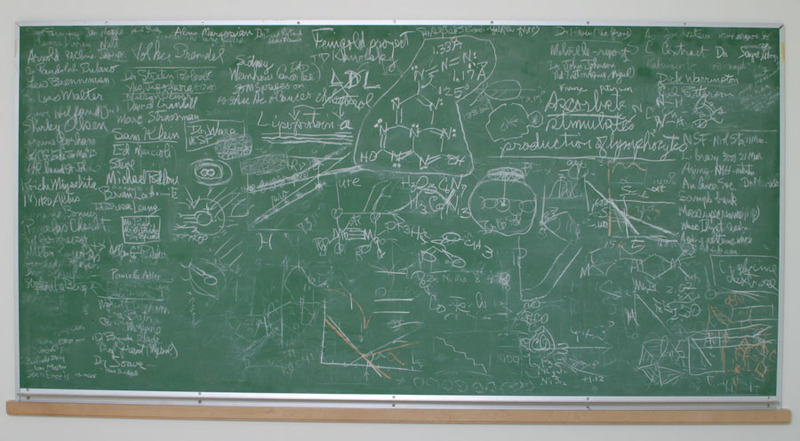 This writing was likely one of the last times that Pauling touched chalk to his board, as his collaboration with Rath did not develop until the early 1990s. The three words both acknowledge and hide the significance of the interaction between Rath and Pauling – a mercurial relationship for much of its duration. Beneath an ark of name columns, adorned with the mystery molecule at its pinnacle, is a half-circle filled with pictures, figures and chemistry formulas. This area is likely where Pauling exercised the least concern for preservation, and it is supposed that this area of the board was used to aide in his discussions with visitors to his office. The space likely represents over two decades of personal interactions between Pauling and others, a spot on the board where he could explain theories and manifest abstract ideas. In essence, this half circle is where Pauling used the board in a more traditional sense – writing and erasing as suited his needs. 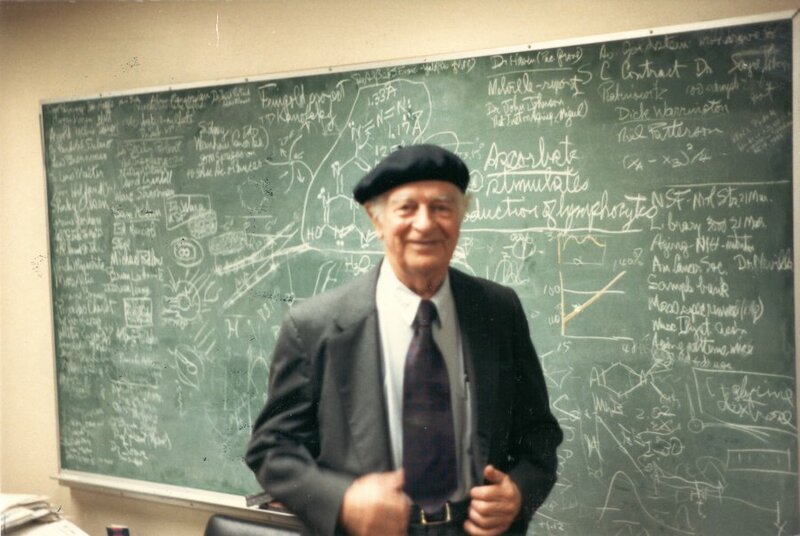 Linus Pauling’s chalkboard is covered in historical significance. 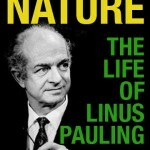 It functioned as an important tool for a very busy man, and has preserved a telling aspect of both the history of the Linus Pauling Institute and the character of Pauling himself, in part reflecting the organization of his consciousness. 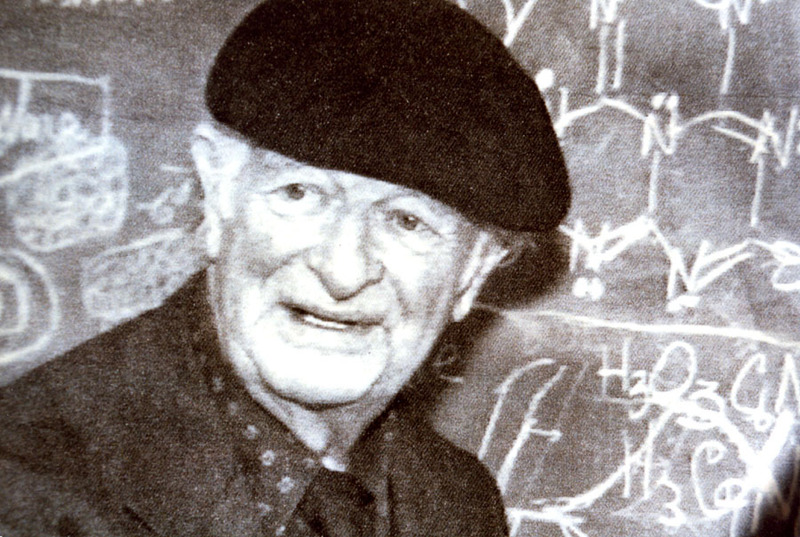 To be sure, the board is merely a fragment of Linus Pauling and his research, but it is unique and intriguing in a very personal sense. The names, pictures and diagrams on the board all represent important aspects of Pauling’s professional life. Not only does it make a valuable contribution to a room dedicated to the man’s work, it preserves the living memory of Pauling by displaying an intimate demonstration of his method. Pauling's chalkboard, as preserved in the OSU Libraries Special Collections.